It’s always fun to see which search terms people used to come to my blog. I’m not sure, I only know you can make oil out of it which presumably can be used for everything other oil is used for. I have a post on whether safflower seed oil can be used on pessach (spoiler: yes). If we are talking about the same thing, kasha is some porridge-like stuff. Whether it is kitniyot depends on what it is made of, usually that would be buckwheat, sometimes millet or other grains like wheat. Wheat, barley, spelt, rye, and oats are chametz. Buckwheat and millet are kitniot. The situation does not change (or at least should not change) for a specific year, so the answer from 2013 should still be good for today. 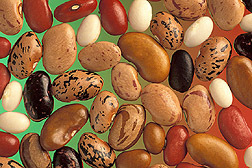 Unfortunately the situation seems to be tricky, divided between those that say that there is no problem with string beens as they are vegetables, and those that say they are beans and thus kitniyot (links and discussion in my post about beans). No, it’s a root, not a seed, why should it be? The question is valid for other spices that are seeds, though. Ok, I have no idea what you mean, but most people say pumpkin seeds are not kitniot and so if you make flour out of it that should be fine. 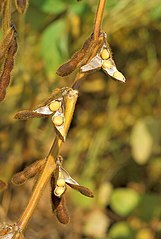 Why are beans kitniot (an attempt for a historical explanation)? But there is a good reason for the emergence of this custom in specifically Ashkenazic lands. Ashkenazic communities, and the custom of kitniyot, originated in the temperate regions of northern France and the Rhineland. The climate there differed from the Mediterranean climate of Sephardic communities in two key respects: its summers were far milder, and it rained all year around. Each of these elements produced a change in agricultural practices. The milder summer meant that one could harvest twice each year, once in the winter and once in the summer, thus making the land more productive. Specifically, it was in the temperate regions of northern Europe that the three-field system of crop rotation was developed. When the same field is used to plant a type of grain one year and a type of legume the next year, there are inevitably stray stalks of grain growing amongst the kitniyot. Under the two-field system of the Mediterranean and Middle East, a field would be planted one year and left fallow the next. 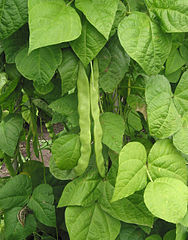 Thus, legumes were not planted as frequently, and even if a particular field was changed from grain to legumes, there would be two years’ separation between the crops. The admixture of standing crops would have only been an issue in Ashkenazic lands. A second difference pertains to the sheaving of harvested grain. In semiarid lands, crops were harvested in the early summer and gathered in the autumn, before the start of the rainy season. Thus, Shavu’ot, in the early summer, is a harvest festival, while Sukkot, in the early autumn, is a gathering festival. Because there was no rain expected during this interval, the harvested grain could be left in sheaves or heaps out in the field where they grew; there was no concern that rainfall would ruin them. This was not the case in Ashkenazic lands, where rain could fall any time throughout the year. There, special structures had to be built for grain storage near the fields. Since there was more than one harvest throughout the year, the same granaries were used for different crops—grains during one harvest and legumes during the next. Thus, the very structure where wheat had been heaped a few months earlier would be home to a heap of legumes just a few months later. Once again, this concern was completely absent in Sephardic lands.